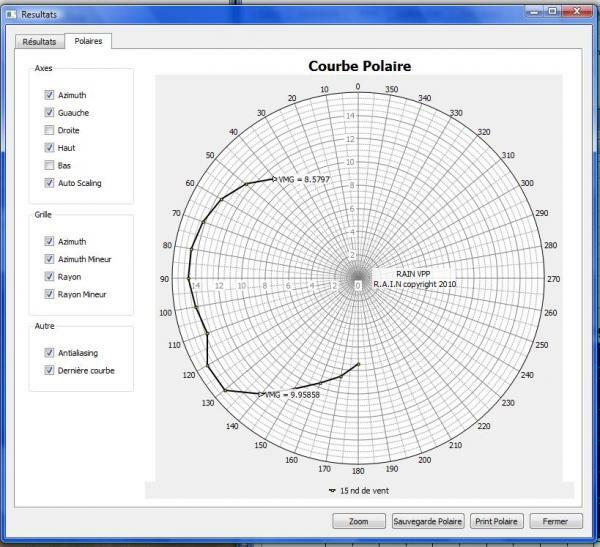 This VPP solver self developped with the help of Applied Mathematics Master students of CAEN university. 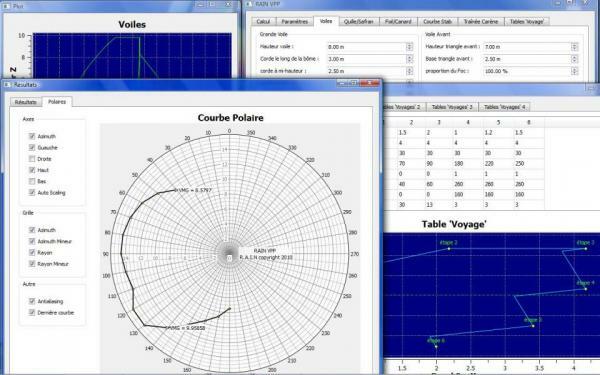 It is not an usual VPP program based from empiric measurements but a global solver of the equilibrium of the ship on all axxis with adjustable precision and steps. - Takes into account : canting keels, daggerboars, twin rudders, a couple of foils, moves of the crew and ballasts along and aside the ship, automatic depowering of sails or progammed reefs levels, symetrical or assymétrical spinnakers. 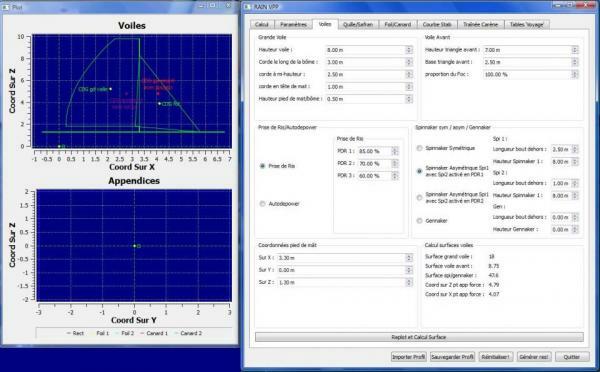 - Targeted heeling angles can be programmed for given wind angles. - Feeded from lightweight stability curve and hull drag curves. - Incorporated rig and underwater profiles performances, reef program, plot entered datas. 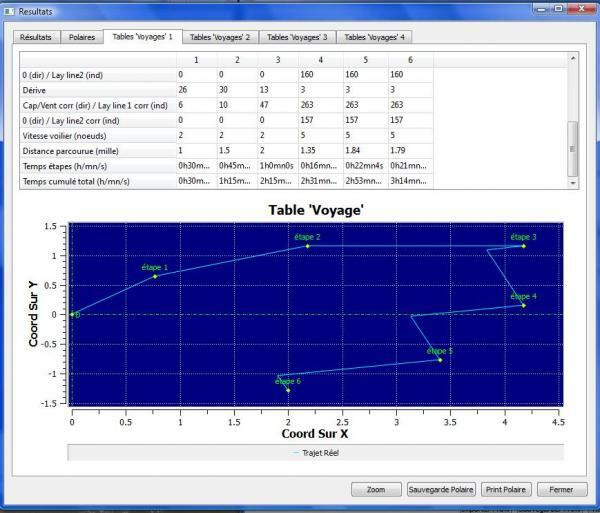 - Plot speed polar, calculates times on given trajects and conditions while taking into account VMG and laylines. A free simplified version will be downloadable from this site in the future for student use.